Whether you're early in your career or close to retirement, if you're looking to make sure you won't run out of money in retirement, we can help. If you've inherited assets and want to make the most out of them, while respecting the wishes of those who have passed, we can help. If you're not sure you can continue to afford the home you're in after you stop working, or if you might be better off freeing up equity to use toward retirement expenses, or if you might be better off paying off your mortgage early, we can help. We can help provide a second opinion, and partner with you to be a sounding board for understanding the choices you face. We can help coach you through the ups and downs, guided by the financial planning roadmap we develop to help you make educated decisions about your finances. As a Certified Financial Planner ™ in Walnut Creek, CA, I actively listen to my clients to develop customized comprehensive financial planning strategies that help address client goals according to their vision and objectives. Then I help clients implement those strategies based on their feedback and implemented on their timeline. As an independent financial consultant, I offer clients a wide assortment of non-proprietary investment products and services that have passed our due diligence requirements and can meet your needs and comfort level. As a Fiduciary, dedicated to acting in your best interest, I follow the processes outlined for financial planning by the Certified Financial Planner Board of Standards, Inc. (CFP Board). Click here to view the CFP Board Consumer Guide to Financial Planning. Design an investment strategy to help you meet all of your retirement goals. 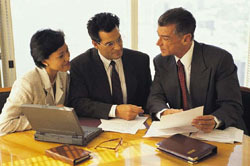 We'll keep you informed of how your investments are performing, and make adjustments as needed. Help ensure a predictable income in retirement to meet your needs and your wants. Reduce your tax liability and let more of your money work for you. Pass on your wealth according to your desires and in tandem with your lifetime planning and charitable goals. How to manage issues surrounding sudden wealth to maximize your goals and avoid common pitfalls. Finding the right fit for your desired lifestyle in retirement and how to make it work with your financial plan.